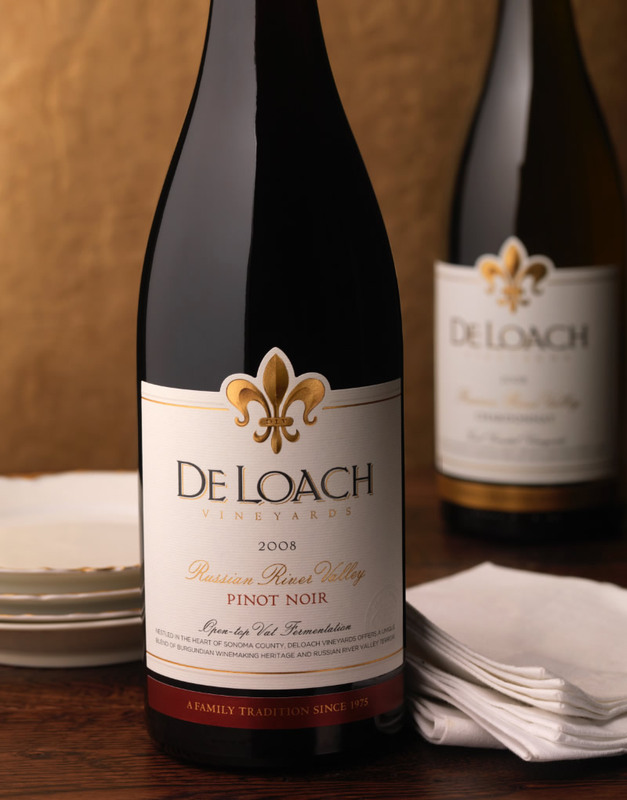 Since its launch in 1975,DeLoach Vineyards has been a pioneer in the Russian River Valley. In late 2003, Boisset Family Estates purchased the iconic winery and reestablished it as one of California’s premier artisan producers. After investing in the winery, implementing organic farming protocols and expanding the single-vineyard program, the family hired CF Napa to upgrade the packaging. Their goal was to differentiate the individual tiers, gain shelf presence, and communicate quality, heritage and luxury. 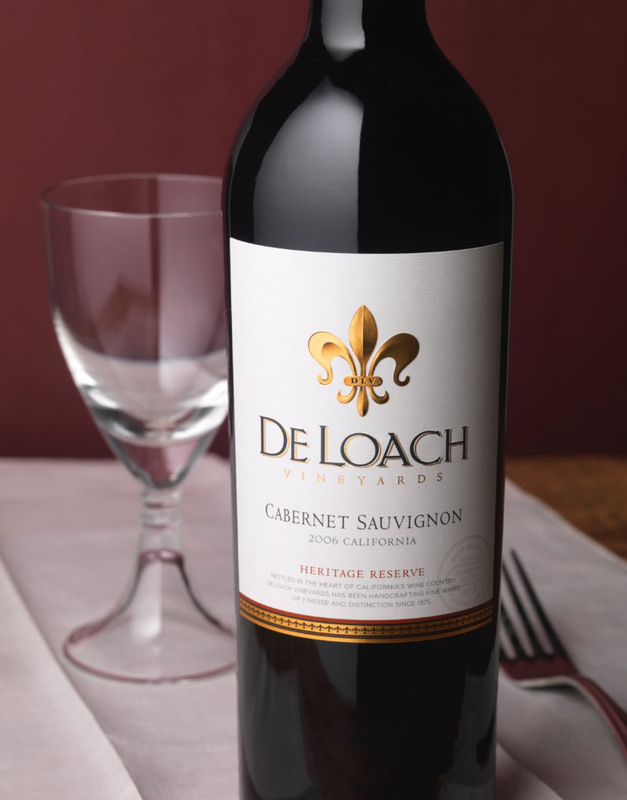 After reviewing all the elements of the brand, CF Napa Brand Design began with the largest segment in the DeLoach portfolio, the “California” tier. It was determined the packaging lacked shelf presence and the cues that signaled hand-made, high quality wines. The redesign focused on the brand’s historic equity symbol, the fleur-de-lis. The seal was expanded and changed to a sculpted foil that provided additional detail and dimension. Subtle background design elements were incorporated to add texture and visual depth. The new packaging succeeded in raising the brand’s visibility and communicating the key messages of style, elegance and luxury. The redesigned DeLoach California tier was launched in stages in mid-2009. Through the end of December, tier shipments had grown more than 15% over 2008. The increase in sales was even more impressive considering the difficult economic climate at the time and the contraction of the luxury segment within the wine industry. 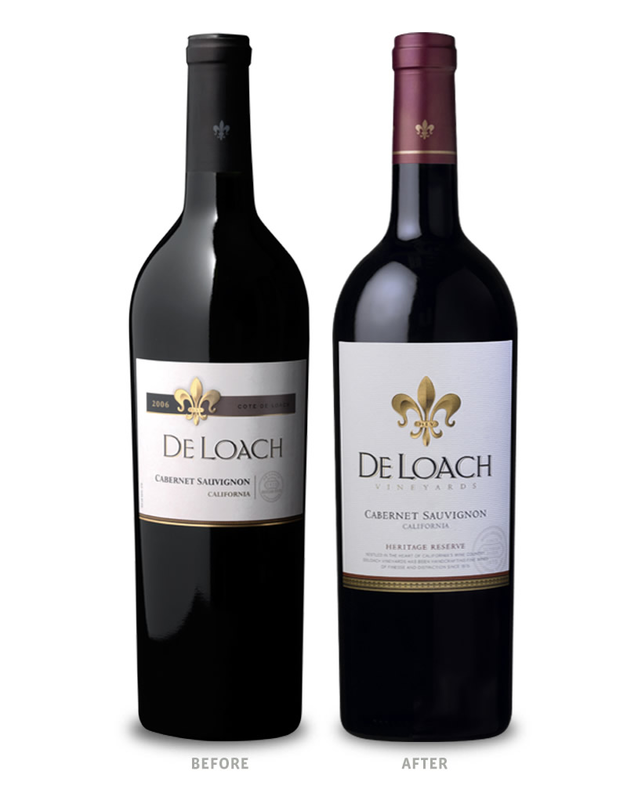 Since then, CF Napa has also redesigned the packaging for DeLoach’s Russian River and Vineyard Designate tiers.